A washing machine, or washer, is a machine designed to clean laundry. The term is mostly applied only to machines that use water as the primary cleaning solution, as opposed to dry cleaning (which uses alternative cleaning fluids, and is performed by specialist businesses) or even ultrasonic cleaners. 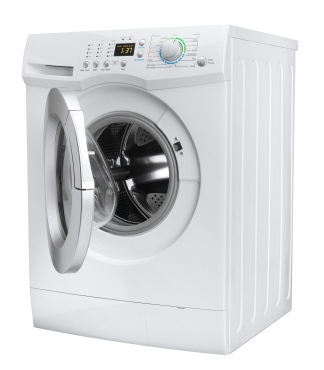 All washer machines work by using mechanical energy, thermal energy, and chemical action. Mechanical energy is imparted to the clothes load by the rotation of the agitator in top loaders, or by the tumbling action of the drum in front loaders. Thermal energy is supplied by the temperature of the wash bath. Modern washing machines are available in two configurations: top loading and front loading.